Property prices rose from 2% in June to 2.5%, which is great for sellers, but it’s important to be realistic about what price you’ll be selling for. One of the most overlooked factors when selling your home is ensuring you put your property on the market for what it is actually worth – not what you think it’s worth. A realistic, competitive valuation will serve you well with the current high demand for property. It’ll mean you can move quickly, but ensure you get the right price and are able to afford your next home. Our property experts take many factors into account to ensure you get the most accurate valuation possible. The number of bedrooms, size of the interior and exterior, the location and the condition of the property. Property A went on market at the same time as another property on an adjacent street. Both properties had exactly the same number of rooms, same amount of floor space, and both had south facing gardens. Property A went on the market for £300k and Property B for £325k. Which do you think got more interest? You guessed it – Property A. It’s going to get more interest because it’s priced accurately. The buzz around the property meant people entered into a bidding war, and it sold for £330k – £30k more than the asking price, and £5K more than Property B’s original price. Property B took much longer to sell. This is a clear example of where a lot of people go wrong when selling their property. Choose an estate agent who conducts an excellent valuation that will help your property sell for the right price.  Call Love Your Postcode on 0800 862 0870 or book a free valuation today.